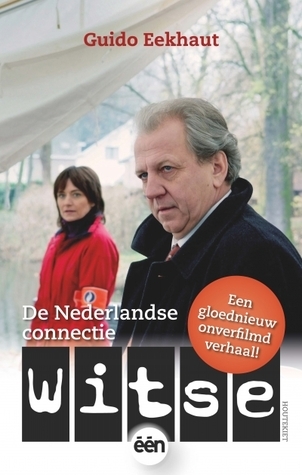 Witse is a Belgian detective and he and his team solve different crimes. Besides the television series, some writers have written stories who will – probably – not be filmed. This is a nice addition to the television series. When have seen some of the episodes of the television series, you can imagine how the story of the book will be when it was filmed. In this book I have found no spelling nor writing errors. Though I found it sometimes hard and was in doubt because it is a bit Flemish, which is not my mother tongue. It looks like Dutch and the book is written in Dutch with some words as a Flemish accent. I like the style of writing like this with an accent. It makes the story more local. There are a few characters who are the main characters through all the written episodes. Those characters are: Witse, the Belgian detective who is a bit stubborn but possesses a good instinct and doesn’t take everything for granted. He has his own police team that exists of the woman Tine Smets – most of the time his assistant in the field – and the men Romain van Deun and Rudy Dams. The big boss is the chief police officer Wijtinckx. This time another cop is added to this police team to help solving a case that involves Dutch politicians. It is a Dutch female cop named Dewaal who works for the intelligence services and security in The Netherlands. This book is really good written because time after time I thought I was close to the clue of the story. But at the end of it, with the several clues and happenings, I wasn’t close at the clue. So brilliantly written!